My Dog has Allergies: What Kind of Dog Food Should I Get? There’s a reason why gluten and grain-free foods are becoming the new norm. Food allergens can wreak havoc on the system from the inside out. While you might expect a dog with food allergies or intolerances to present with digestive upset like loose stool or vomiting, you’d only be partially correct. Similarly, if you’re noticing excessive itching and skin irritations you could incorrectly assume it’s an airborne allergen like pollen. Truth is, though the symptoms may look slightly different than we imagine, our fur friends can suffer from food allergies, just like us. Taking a little time to educate yourself on the best – and worst – foods for dogs with allergies and intolerances will help you avoid feeding into them. Food allergies are often passed down genetically. Recognizing when your pup is having an adverse reaction to his or her kibble is the first step to course-correcting. Excessive gas, diarrhea, gagging, and vomiting are all potentially associated with food intolerances. Hot spots from excessive licking and scratching. Look for red, raw patches over the dog’s skin which have been incessantly licked or scratched. This is the intolerable ingredient essentially trying to escape from the dog’s largest organ, so flushed and itchy skin is highly common. Multiple ear infections. They’ll start as smelly, yeasty accumulations of thick brown inside the earflap. These accumulate quickly even after daily cleanings. If you’re taking your dog in for ear infections more than two or three times a year, it’s time to investigate the food label. Eye discharge. Watery eyes are common in humans with seasonal allergies, but in dogs, it could be a sign of food intolerance. Bronzing nail beds or mouth. Yeast-based inflammation around the mouth or under the nail beds is often a common immune response with prolonged exposure to a food allergen, especially when accompanied by a lot of itching and licking. 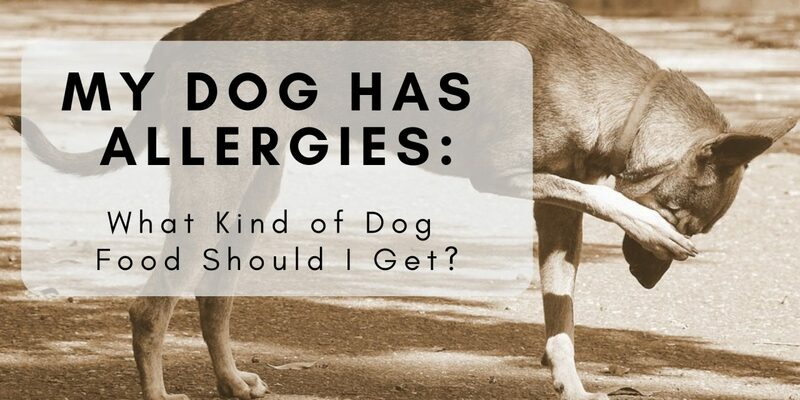 How do I know what food my dog is allergic to? Noting any combination of the symptoms above is enough evidence to support a food allergy. The next step is to consult with your vet. Some saliva, skin and blood allergy tests do exist, but most doctors recommend implementing an elimination diet to identify which foods your pet is having trouble tolerating. The process is fairly simple, but always follow your veterinarian’s instructions. They’ll likely recommend starting them on a food, and specifically a protein source, they’ve never had before. You’ll feed them a limited-ingredient, rare-protein source diet for few weeks until all symptoms subside. From there you’ll slowly reintroduce suspected allergy ingredients and foods one week at a time to see what causes a reaction. Now that you have an idea of what’s causing the upset, it’s time to figure out what can you feed Fido. You may start with a dog food prescribed by your veterinarian or decide to try your hand in the kitchen and make your own dog food from scratch. Still, both of these options can add up quickly. If a diet of all home-cooked dog food isn’t in the cards for you, you could try being more mindful of the ingredients in commercial kibble. The more limited the ingredient profile, the less likely high-quality commercial dog food is to trigger any food allergies or intolerances. Is your pup having a bad reaction – Benadryl is is safe for dogs! It’s worth noting that although feeding raw dog food can effectively reduce potentially harmful ingredients like artificial additives or grains there’s no guarantee it’s allergy-free. The trick is to isolate the ingredient(s) your dog is being triggered by. And where there’s one, there’s often more. Though dog food allergens span all food groups, by and large, the most common culprit is a grain or protein source. Whatever the problem ingredient, as your dog’s system attempts to break down and digest it, the proteins it’s made of alert their system to an invader, triggering an allergic reaction. What’s more, though it may sound counterintuitive, the more times your dog has been exposed to a particular food item, the more likely they are to develop an allergy to it. With this rationale, it makes sense why beef and chicken protein sources top the list of common dog food allergens. Curious which foods are most likely to elicit an allergic reaction? Here’s what to avoid and what you can substitute instead. A word about genetically modified foods and dairy: both are strongly correlated with canine food allergies. GMOs like soy, corn, beets, and milk are among the worst offenders. This goes double for dairy. 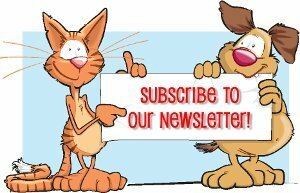 Though most pet owners are surprised to hear it, the vast majority of household pets are lactose intolerant. This even includes kitties! In the end, diagnosing food allergies can take some time and effort. But it’s ultimately the best way to save your dog from discomfort and spare your bank account the health costs that come with it being left untreated.